“Skateistan is the epitome of what skating is all about. Raising awareness and providing that outlet is an incredible accomplishment. I honestly share in the excitement those kids feel!” - Tony Hawk, Skateboard Hall of Fame Inductee. Skateistan is proud to announce the world premiere of the full-length documentary feature SKATEISTAN – Four Wheels and a Board in Kabul. Filmed throughout 2008 and 2009, the film tells the story of the grassroots effort behind the creation of Skateistan, from the beginning. It follows the founders of the NGO, as well as some of the first Aghan youth to step on a skateboard, through both exciting and difficult times. The feature's world premiere will be during the Santa Barbara International Film Festival (USA) on Saturday, January 29, 7PM (UTC), at the Lobero Theatre. 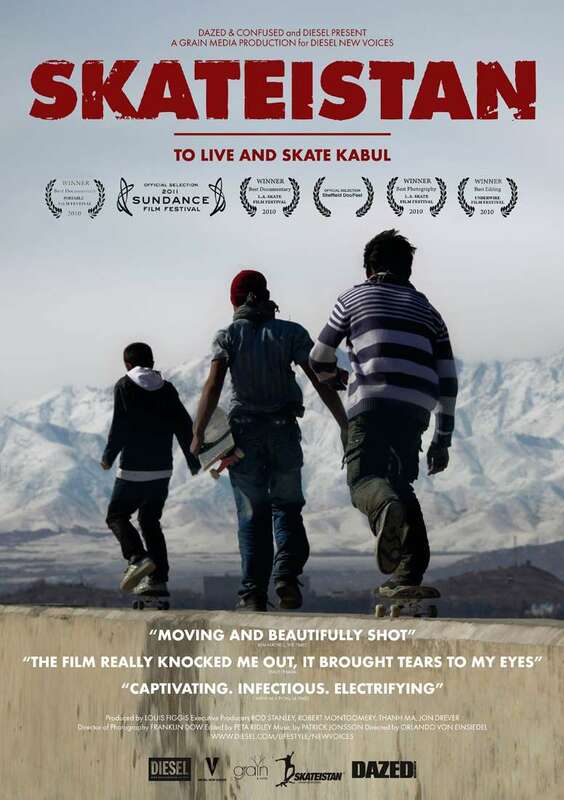 In other festival news, the short documentary about Skateistan, To Live and Skate Kabul, will be showing several times during the next week at the Sundance Film Festival (playing with The Green Wave) in Salt Lake City, USA. The short documentary film follows the lives of young skateboarders in Afghanistan, who spend part of their days working on the streets of Kabul, and the other part as role models to other young Afghan skaters. Speaking about the short doc, veteran skateboard pro and industry mogul Stacy Peralta stated: “Watching young Afghan skaters in the film made me realize why I’ve spent my entire life as a skateboarder”. Skateistan's Executive Director Oliver Percovich will be in attendance at both festivals. Make sure you check out their trailer and visit their website!